Federal Money Laundering Defense Attorneys - Oberheiden, P.C. What You Should Do When You Are Under Investigation for Money Laundering? The minute you suspect that you may be under investigation for money laundering, you should immediately cease any questionable activity. Federal investigations typically proceed for months before the targets of the investigation receive any notice of the investigation, so you should assume that you are being surveilled and have already been under surveillance for some period of time. Assume that investigators have access to your bank records. You should also assume your phone lines may be bugged, your location may be monitored by GPS tracking, and your associates may be recording your conversations. Even if the investigators already have evidence your activities, ceasing to provide them with additional incriminating information can only help your case. Once you learn that you are the target of a federal investigation for money laundering, you should minimize communicating about your case with anyone other than your lawyer. As noted above, you may be under government surveillance, in which case the government may be privy to your communications. Moreover, government attorneys may subpoena records of your communications, including phone records, text messages, facsimiles, and emails. Recently, prosecutors have also started subpoenaing records of communications conducted through social media platforms as well. Therefore, you should assume anything you communicate electronically may be disclosed to government attorneys and used as evidence against you. Additionally, anyone you speak to about the details of your case may be subpoenaed to testify about that information in court. Thus, even mentioning facts about your case to friends, family, or colleagues could result in evidence being used against you in court. Although deleting or destroying documents or communications that appear incriminating may be tempting upon learning that you are under a federal money laundering investigation, destroying evidence is never a good idea. Destruction of evidence is considered obstruction of justice (18 U.S.C. § 1519), which is a federal crime punishable by up to five years in prison. Federal prosecutors take destruction of evidence very seriously, and if they have reason to believe that you have intentionally destroyed or deleted information, they will charge you with obstruction of justice in addition to any charges you may be facing as a result of the money laundering investigation. In addition, attempts to destroy electronic evidence are often unsuccessful as it can often be recovered. If you attempt to destroy evidence, you will likely incur criminal liability without helping your case. To avoid obstruction of justice charges, you should refrain from deleting any electronic files or records of communications, as well as refraining from destroying or throwing away any electronic devices that may house such records. Additionally, you should disable any auto-delete programs that you may have on your computer, mobile phone, or email account. You should also take actions to preserve any tangible documents, such as paper files or photographs. Hiring an experienced federal criminal defense lawyer as soon as you discover that you are under investigation for money laundering is one of the most important things you can do to protect your interests. You do not need to wait until you are charged to hire an attorney; your attorney will help you navigate the investigative process and may prevent charges from ever being filed. An attorney will also help protect you from incriminating yourself during the investigation by handling all of your communications with federal investigators and by determining if or when you should sit for an interview with investigators. Additionally, an attorney will guide you on what to do or not to do during the investigation to avoid violating ancillary criminal laws during the investigation, such as making false statements to a federal agent (18 U.S.C. § 1001) or obstruction of justice (18 U.S.C. § 1519), both of which may lead to prison sentences. Federal Practice. 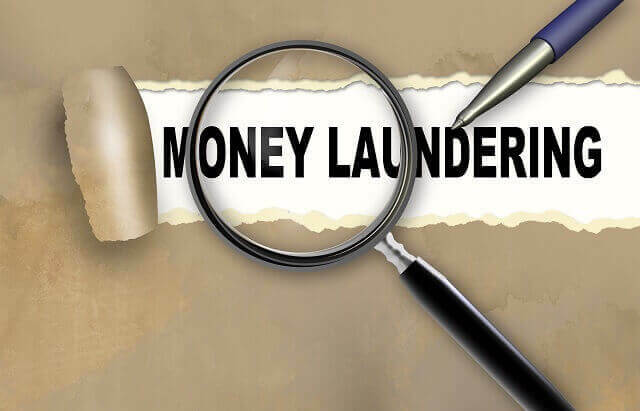 Money laundering cases generally proceed through the federal court system, which has very different practices and procedures than state courts. You want an attorney who has experience in federal court and who is familiar with the local federal prosecutors and judges. In other words, a defense attorney who primarily handles DUI or minor drug possession cases in state court will not have the same experience defending cases like yours that an experienced federal criminal defense attorney will. Government Background. Defense attorneys who have formerly worked as federal prosecutors have the invaluable perspective of understanding federal investigations from both sides. Former prosecutors know how to converse with federal agents and prosecutors on their terms, and they often can read what is going on behind the scenes at the United States Attorney’s Office. If possible, you should look for a defense attorney who has experience working as a government attorney. Always Available. You want an attorney that is available to take your calls, answer your questions, and respond to your concerns. Important events in your case – such as execution of search warrants or important revelations – do not only occur during business hours. You need an attorney who you can reach even on nights and weekends. Additionally, you do not want an attorney who will wall you off through support staff or paralegals. Oberheiden, P.C. represents clients across the country who are facing federal criminal investigations. Our attorneys are former federal prosecutors and seasoned federal defense attorneys who have helped thousands of clients achieve successful outcomes from criminal investigations. To see who we can help you, contact us today for a free and confidential consultation. Our attorneys are standing by seven days a week, even on weekends, to take your call.